American film directors Ken Burns and Linda Novick interviewed more than 79 witnesses for their epic 10-part television series The Vietnam War (called The American War in Vietnam)—now playing to millions of viewers across the US. The documentary film dovetails in time and approach with the current New York exhibition After Darkness: Southeast Asian Art in the Wake of History. 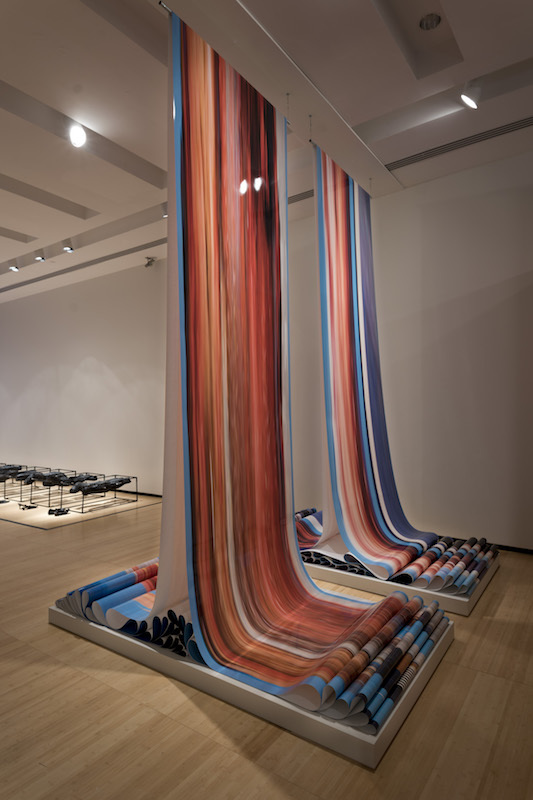 The artists in the exhibition join first-hand witnessing with historical reckoning, taking from individual accounts of past events to illuminate presentday ripple effects through the lens of contemporary art. I focus here on the works by Vietnamese artists—though the contributions of Indonesian and Myanmar artists create no less powerful dialogue with the exhibition’s overarching themes of collective memory, personal story, and how the aftermaths of war and its subsequent national cultural shifts have brought about vibrant and socially engaged contemporary art movements. Two of the exhibition’s elder artists, Dinh Q. Le and Tan Andrew Nguyen (of the Propeller Group collective) went to the US as young refugees in the 1970s and came back to Vietnam as part of a new wave of returning diaspora, creative artists re-seeding their cultural roots. Dividing his time between Ho Chi Minh City and Los Angeles, Dinh Q. Le is largely considered one of the key shapers of HCMC’s contemporary art scene, having co-founded San Art in 2007 (see The Collectibles: Collecting Contemporary Art in Vietnam in Oi Vietnam August 2015 issue) and mentored a new generation of Vietnamese artists, curators and art educators. 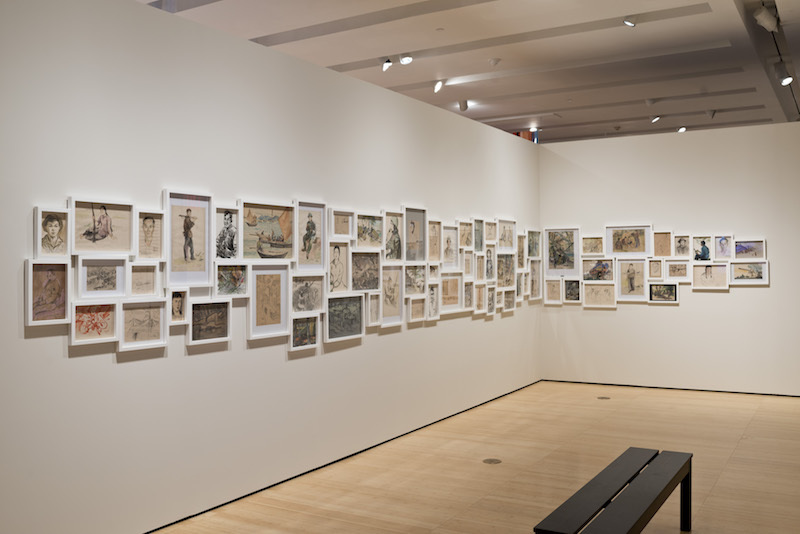 His installation, Light and Belief: Sketches of Life from the Vietnam War is a haunting depiction of the humanity of war portrayed through more than 70 found drawings of soldiers in their everyday routines juxtaposed alongside video recordings of the artists’ remembrances (the artists themselves were soldiers from the North Vietnamese Army). Social documentary forms (film, photography, archival materials) frame the present-day perspectives of the past that ripple through the art works here, filled with the ironies that such contrasts as past/future, memory/ fantasy, trauma and beauty portray. 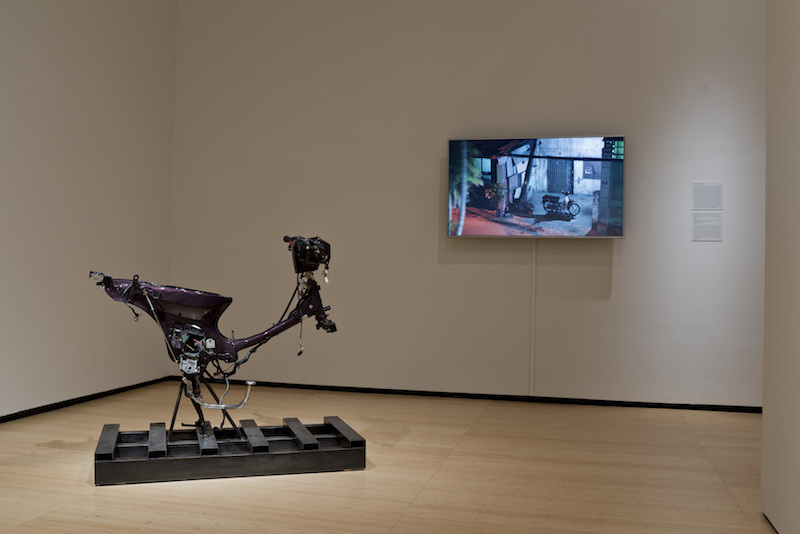 The Propeller Group’s The Dream is a single-channel time-elapsed video that shows a Honda Dream motorbike being stripped overnight of its parts, leaving only a ravaged skeleton of the bike—installed in the exhibition as a physical artifact of a utopian dream and its dystopian remains. Dreams and fantasies also fuel the documentary work of Nguyen Thi Thanh Mai, the youngest of the artists. 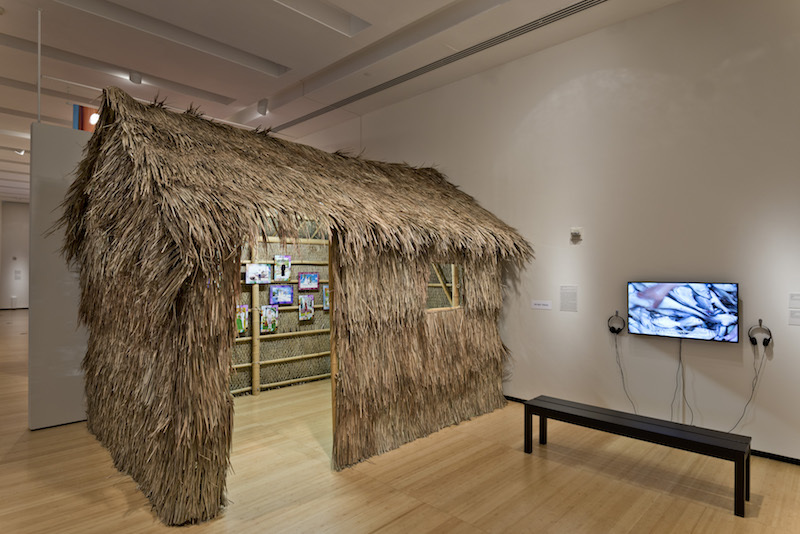 Part ethnography, part creative imagining, her installation of a village hut of Vietnamese refugees caught in the borderlands of Cambodia depicts 12 portraits of villagers and families pasted onto the bodies of a glamorous fashion models—imagining, for example, the prosperity of a wedding celebration or simply hope for a better life. Taken together, the Vietnamese contributions to After Darkness illuminate the strongest of human tendencies: resilience, reconciliation, creativity and imagination. That is how the featured artists shed their light. The exhibition After Darkness: Southeast Asian Art in the Wake of History is on view in New York through January 21, 2018 at the Asia Society Museum. Featured artists: FX Harsono, Htein Lin, Dinh Q. Le, Nge Lay, Nguyen Thi Thanh Mai, The Propeller Group (Vietnam), Angki Purbandono and Tintin Wulia. Bio: Tressa Berman, Ph.D. (tressa.berman@gmail.com) is an anthropologist and curator who specializes in art and heritage. Author of two books, her contributions include for Art Papers, Arte Al Limite, and Cultural Weekly Los Angeles. She is also the founder of the Institute for Inter-Cultural Practice, www.interculturalpractice.comhttp://interculturalpractice.com.